Yes, that is Glenn Gould. But this path starts with another musician. 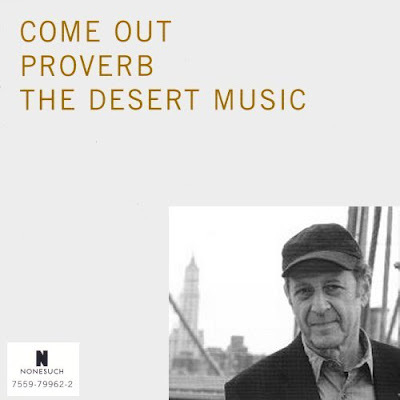 Steve Reich's Come Out is an electronic composition created from the voice of an African-American youth. No conventional instruments or musical notation are used in the pioneering work. But if I want to broadcast/webcast Come Out there is no problem. Future Radio is party to a performing rights agreement which directs royalty payments to the composers and publishers of music works. Despite not being a conventional music work Come Out is covered by that agreement. So far so good: Come out is broadcast, the listener has access to a seminal 20th century work and the copyright owner is rewarded. Glenn Gould's Solitude Trilogy is a series of three radio documentaries made for the Canadian Broadcasting Corporation (CBC) between 1967 and 1977. Two of the documentaries use short music excerpts but, like Come Out which dates from the same period, they are voice compositions. But, despite using speech as his raw material, Glenn Gould always considered his contrapuntal radio experiments to be music. He wrote about them in an article titled 'Radio as Music', spoke of his scripts as 'scores' and even referred to the documentaries with opus numbers. This recording may not be reproduced in any form, nor may it be used for commercial or broadcast purposes. We appreciate your interest in the Glenn Gould documentaries. I have been able to confirm the status of the commercial disc for you. The audio disc is for non-broadcast purposes only. And as much as we'd like to accommodate your request both the recordings and the underlying music publishing rights would have to be cleared. I'm told the we could be looking at potentially thousands of dollars for music clearance costs. Unfortunately, the situation is further complicated as all decisions involve the Glenn Gould Estate, as well. The same revenue considerations apply for the Petula Clark program. Sorry to disappoint. I am not an expert on music copyright but I do have a resonable working knowledge of the subject. My interpretation, which has been broadly confirmed by PRS for Music's helpful press office, is the following. Despite being sold as commercial disc the disclaimer on the CBC set excludes them from the usual performing rights agreements. This allows the copyright owners, presumably CBC and the Glenn Gould Estate, to set their own royalty level for each broadcast of the discs, in this case "potentially thousands of dollars". As Future Radio is a not for profit community station it is easy to understand what that means for my (and many other) proposed broadcasts. Speech compositions [by Schoenberg, Milhaud, Berio, Kagel, Ligeti, Lutoslawski and others are] are one of the significant developments in the recent history of Western music. Both Steve Reich's Come Out and Glenn Gould's Solitude Trilogy are part of that significant development. But their radically different status for broadcast purposes, a status determined solely by the copyright owners of the respective recordings, raises important questions, particularly in the light of recent extensions of copyright protection for recorded music. I have already written about the future custody of historic recordings as highlighted by EMI's current problems. In the past discussions of music copyright have made two important assumptions. First, that ownership of the copyright will remain with the work's creator and thereafter with someone sympathetic to the creator's aims, and secondly that the owner will grant reasonable access to the work. But in today's volatile market both assumptions are questionable. This puts at risk access to some important parts of our cultural heritage which listing the physical fabric of Abbey Road Studios is not going to solve. As ever today, litigation is not far away. More contrapuntal copyright here. One of the many strange aspects of this story is that Glenn Gould bequeathed his considerable estate in equal portions to the Salvation Army and the Toronto Humane Society. The latter are concerned with "the shelter and return of lost pets, care and hospital services for abused and abandoned animals, adoptions to good homes, and wildlife rehabilitation and release". This is quite sad. The recordings aren't heard, and instead of a small payment, the copyright holders get nothing. Side comment - as you say, Gould did indeed consider some of his documentaries to be akin to musical compositions. Coincidentally, I listened again to The Idea of North about a week ago. Given the considerable comment about his "contrapuntal radio" techniques, it's interesting to note that the percentage of the program that is done this way is actually quite low. However, the effect is striking enough that it tends to stay with you. You are quite right Scott. I took the CBC 5 CD set, which comprises the Solitude Trilogy plus his Casals and Stokowski documentaries, with me on my recent trip to France. I listened to all of them on headphones late at night. They are totally engrossing, I found it impossible to read while listening to them. They are the antithesis of today's radio, so much of which which is undemanding background listening. 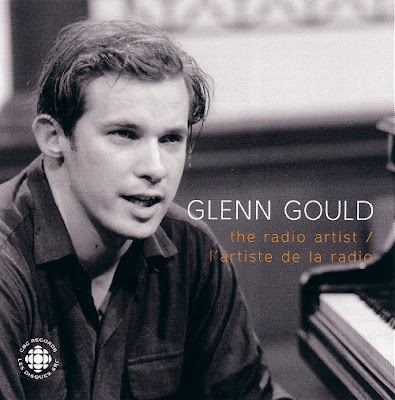 Glenn Gould created innovative foreground radio. It has a lot to tell us about how we have allowed broadcast standards to slip and it demands to be heard by a wider audience. These programmes were made by Glenn Gould to be broadcast, not sold on commercial CDs straightjacketed by copyright restrictions. What a crying shame they are being denied exposure on the very medium for which he created them. No expert either, but presumably the issue is over the indivudual copyright for each and every sound-clip, musical extract etc that Gould incorporated in his broadcasts? So to allow future broadcasts, CBS would need to individual get copyright clearance from(and pay royalties to) the rights-holders for the Mennonite choir, Karajan's Sibelius 5, Petula Clark, etc etc etc; not just Gould's estate. Having seen how music publishers and record labels operate, I can imagine how the admin and purchase of licenses involved in doing this could easily rack up "thousands". But like I say, I'm no expert (like you, just a basic "working knowledge" of Performing Rights issues); just a thought. I may be completely wrong! Deeply frustrating, though, in any case; I've wanted to hear these ever since reading about them in "The Glenn Gould Reader" (and hearing tantalisingly short clips in "32 Short Films about Glenn Gould"). Halldor, we may be both out of our depth on this one but I will respond anyway. I don't think the issue is over the indivudual copyright for each and every sound-clip. This would be the case if the doumentaries had not been released as commercial CDs. But they have, and at that point the broadcast clearances would, or should, have been taken care of. Just as they are on compilation albums containing different music controlled by many copyright holders. If the documentaries had never been released as CDs I could understand this situation. (Note the Petula Clark programme has not ben released on CD). But they have been, and I can see no reason why they are not covered by a standard performing rights arrangement, as, presumably, CBC Records' other discs are. No reason I should say other than a case of the copyright owners wanting two bites at a very lucrative cake.